The iconic fairy tale gets a radical re-imagining in the song and video, as MC Frontalot, dressed as a scoutmaster, warns three Cub Scouts (get it, Cub Scouts?) to beware of Goldilocks, “who if she gets her knives in you, might invite [her friends] over to the spot she found for brunch.” Oh, and did we mention Goldilocks looks as if she just escaped from a Walking Dead episode? 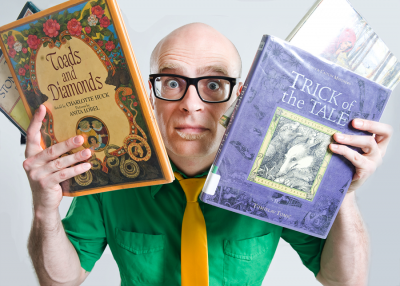 The track, which also features a verse from Jean Grae, is the latest single from MC Frontalot’s sixth album Question Bedtime, a collection of demented retellings of classic fairy tales. Watch the “Gold Locks” video, and view MC Frontalot’s European tour dates below. Sleep tight kids.